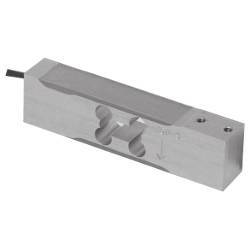 Cardinal Scale�s SP-LM series single point load cells are manufactured for heavier capacity weighing. These cells are fabricated from stainless steel and are available in capacities from 200 lb to 1,000 lb. 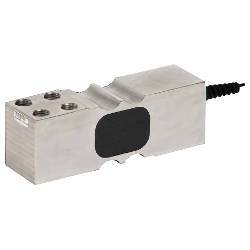 The unique design of Cardinal�s single point load cells offers cost-saving advantages for many weighing applications. 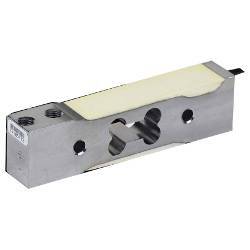 The load cell can be mounted directly to the weighing platform, thereby eliminating flexures, pivots, bearings and mechanical levers. 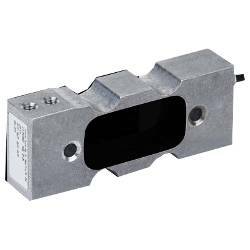 All load cells feature threaded mounting holes, proprietary sealant, and a 7-ft / 2.1-m integral multiconductor cable secured by a strain relief seal. Creep � 0.03% of load in 20 min.